Vancouver homeowners may come across a conundrum between choosing a short-term roof repair, or an expensive roof replacement. For those looking for a solution to widespread deterioration without having to completely tear off a roof, homeowners should consider hiring a roofing contractor from Ridgeline to recommend a re-roof. This process comes at a fraction of what roof replacements often would cost–especially if there isn’t any damage done to the underlayments or baseboards. Deciding on having a re-roof may be the best solution for those who are looking for a budget-minded solution to problems with roofing. 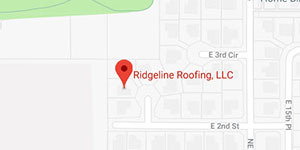 At Ridgeline Roofing, we assess your roof for free, and come up with a solution that suits your shingles and your budget. What’s The Difference Between Re-Roofing and Roof Replacement? Roof replacements and re-roof projects are different in a few key ways. 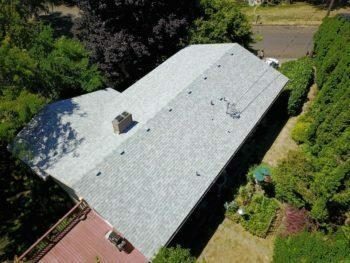 While roof-placements involve tearing off and sometimes replacing everything down to the baseboards, underlayments, flashing, and fascia boards, re-roofing simply involves nailing a brand-new layer of asphalt shingles over an older layer of shingles. Re-roofing can only be performed once as a remedy for old shingles. If further damage is detected after a re-roof, a roof-replacement is necessary. When Do I Need a Re-Roof? A lot of factors can inform your decision to re-roof your home. When homeowners around your neighborhood that were built the same time as yours begin replacing or re-roofing their respective houses, that may be a sign that your home will need to be re-roofed at the very least. Our services range from re-roofing, to full roof replacement, as well as minor patching and roof repair. Not only do we take care of your roofing needs, but we also make sure your gutter system is working properly. For a free inspection and estimate, call Ridgeline Roofing today. We proudly serve Camas, Vancouver, La Center, and other towns within Southern Washington.